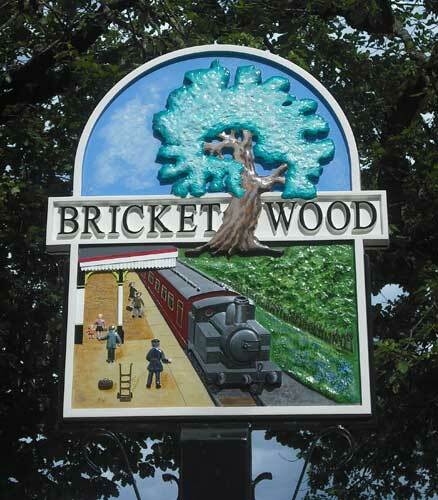 Decorative Village Signs seem to have been initiated during the reign of King Edward VII when he commissioned signs to be erected in villages on the Sandringham Estate. 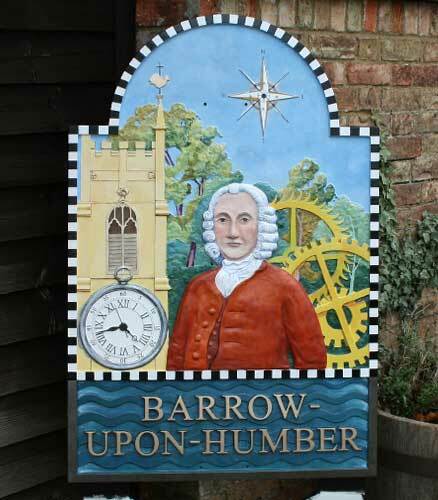 Since that time signs have appeared all over the country, marking the centre of a village or town. 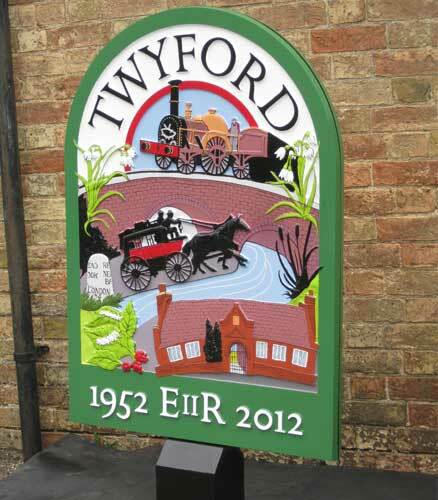 They often depict the history and culture of the area and new village signs are a great way of celebration, bringing communities together to decide on the content and appearance of their village centre piece. 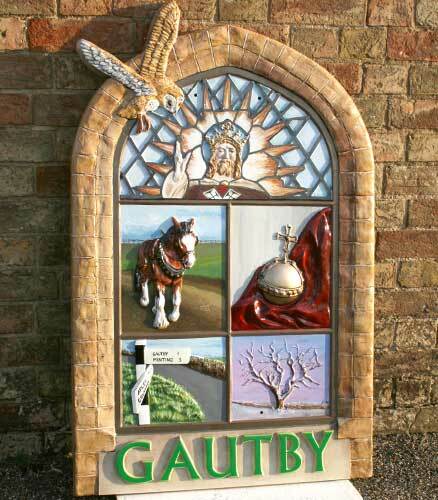 Many of our village signs are cast in polyurethane but we also cast in glass reinforced plastic (grp) and aluminium. Others are composite – constructed from the above and a variety of materials including steel and aluminium. We have refurbished signs that are cast in any one of these materials and consructed from other various materials such as sheet metal and ABS. 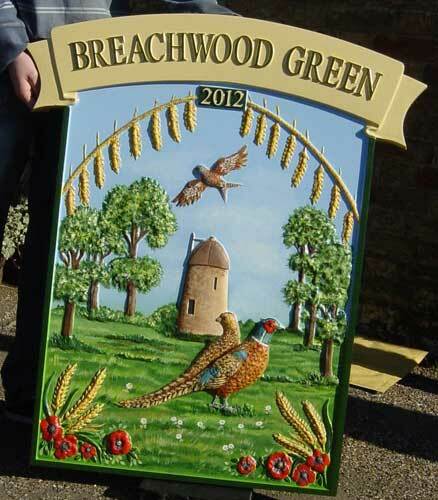 Sometimes mounted on steel brackets which have a sleeve to fit over an oak or steel post. We can cast most shapes and sizes – if not in one piece then we can assemble the parts. 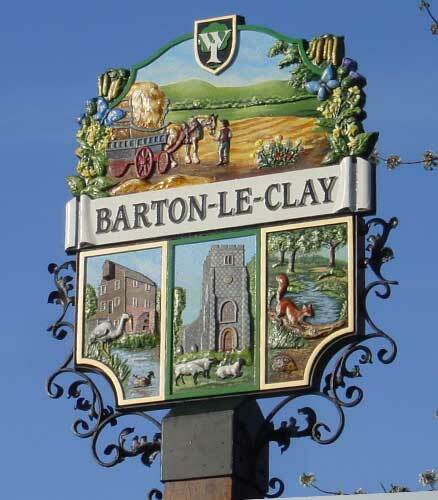 Village signs are often double sided and mounted atop a post. They may have both sides identical or depict different scenes on each side. Our pattern maker and artists will realise your design in relief, using their many years of experience to do this very effectively. The finished casting is hand painted using quality paints. Steel brackets and posts are galvanised and powder coated (if specified). Oak posts are planed, corners chamfered and supplied with a light oiled finish. Clients are encouraged to send us any artwork, size and shape details at an early stage so that we can assist in the design. Our experienced designers can often work from thumbnail sketches, drawings and photographs to achieve your design. Due to the complexity of these signs we may charge and small artwork fee which is generally refunded when the sign is paid for. Depending on the method of fixing Signs of the Times usually supply all the required fixings to mount your sign on bracket or post. Our brackets are manufactured by a local steel worker who liaises with us to produce the shape and size to fit the sign panels. Alternatively we can supply the sign panels to be fitted to your own bracket or post and we will be pleased to liaise with you and your bracket maker to resolve the best fixing method. 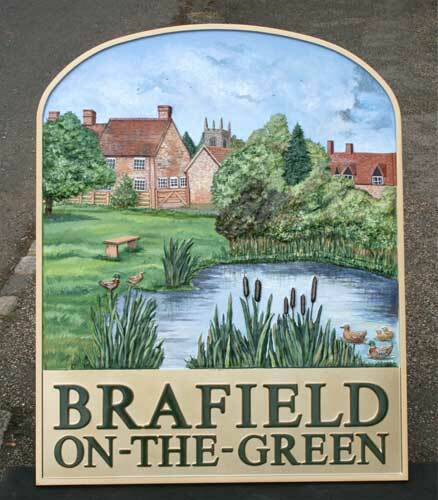 Signs can be drilled for wall fixing or we can supply posts in a variety of materials.